As an expert in home remodeling, we have to stay on top of the latest trends so we can continue to be a valuable resource for our customers as they make important decisions in their kitchen or bathroom remodel. One trend that can’t be denied is favoring a large shower space over the once popular large soaking tub. Sure, tubs do still have a place in bathrooms. Especially for those of you with children, bathtubs are a necessity. For that reason, keep a full-size bathtub in another bathroom. With master bathrooms, many of our customers are choosing smaller freestanding tubs, so that they can still have the soaking experience without losing precious real estate. Devoting more room for an incredible shower is what turns a typical master bath into a spa-like retreat. In the bathroom remodel linked above, we removed the soaker tub and used that space for a new steam shower. The client chose a luxurious, yet compact freestanding tub which took the place of the old shower stall. The new steam shower is the focal point of the bathroom. 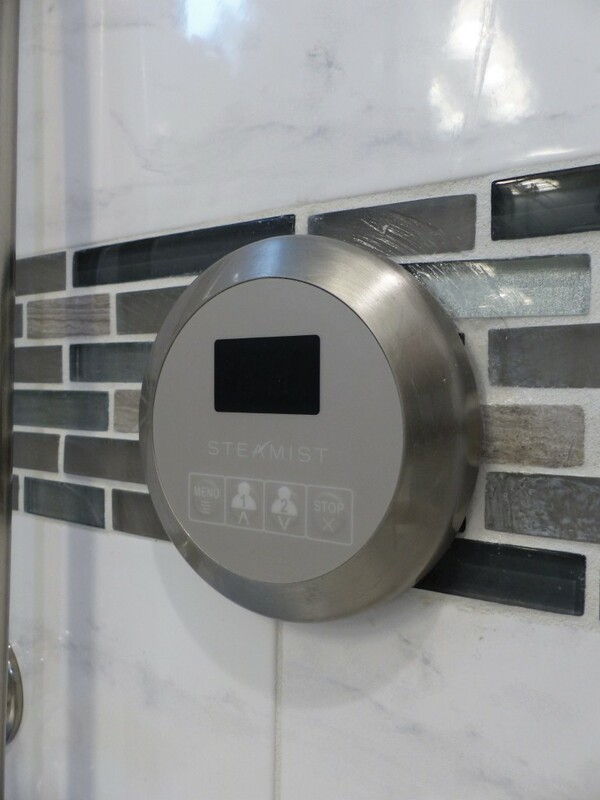 When planning a new steam shower in your bathroom remodel, there’s more to consider than just choosing a steam generator and control panel. Designing and installing a steam shower is a complete system that incorporates every element of the space from the floor to the ceiling. You need to work with a bathroom remodeling expert to ensure safety and functionality. 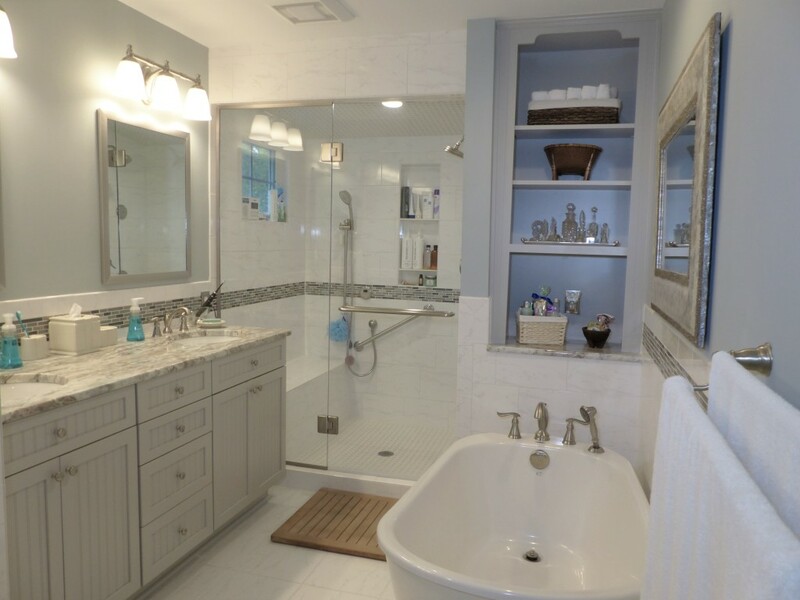 Look no further than R.J. Tilley’s team of plumbers, carpenters and designers to fulfill your dream master bathroom! Steam generator sizing. 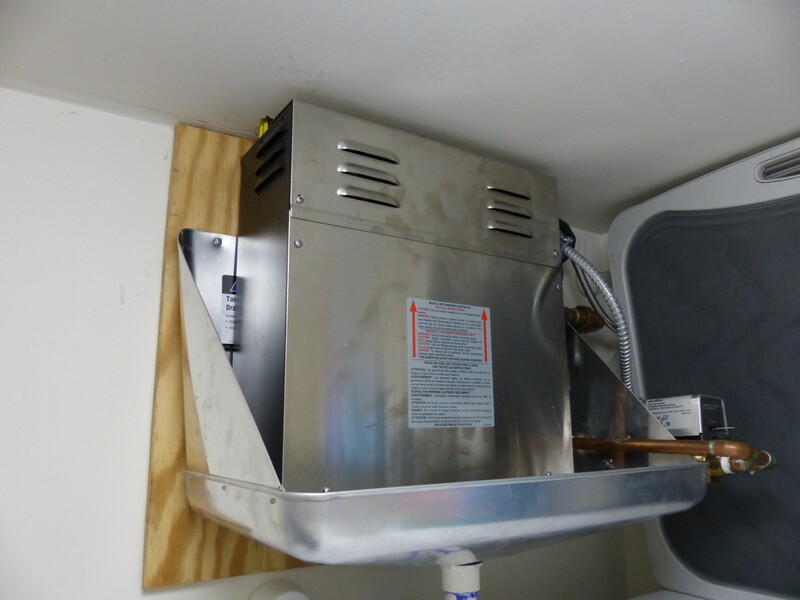 An expert plumber will determine the proper size steam generator for your steam shower. If your bathroom has a ceiling height higher than a standard 8 feet, or the bathroom has vaulted ceilings, you may need a more powerful generator. Installation of the steam generator must be in a nearby closet or attic, preferably within 25-50 feet of your steam room. Proper materials for shower design. 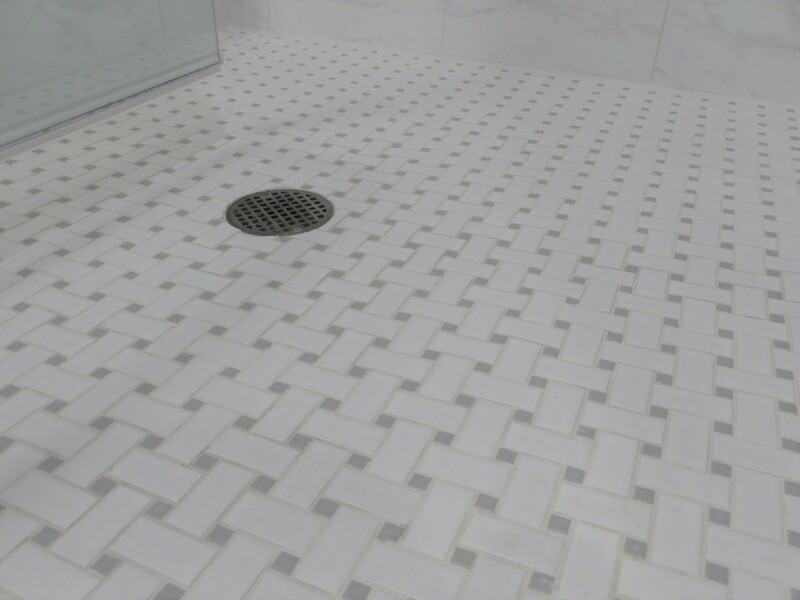 Porous materials like granite and marble are beautiful, but when it comes to your shower’s walls and ceilings you’ll want to use ceramic tile, porcelain or another non-porous material to keep the space from absorbing your steam. The shower must also be properly enclosed with a water-tight shower door and insulated to keep the steam in place. Location of steam control panel. The ideal location of the control panel is inside the steam shower about 4-5 feet up from the floor. This makes for convenient user access, but is out of the way enough from the direct steam current. Think about installing the control panel near seating benches and storage areas for ease of use. Ask us about extra intuitive controls to enhance your steam shower experience—more on special features below! Proper seals on windows and doors. If you’re fortunate enough to have a window inside your steam shower, or plan on incorporating one in your bathroom remodel, make sure they are double-pane. Vinyl-clad windows with a waterproof membrane, sturdy backer board and high-quality silicone caulk is recommended. Shower doors should be water-tight, but not air-tight, as some air infiltration allows you to see steam forming. Water and steam fixture locations. Optimal placement is given to showerheads and handheld sprayers. 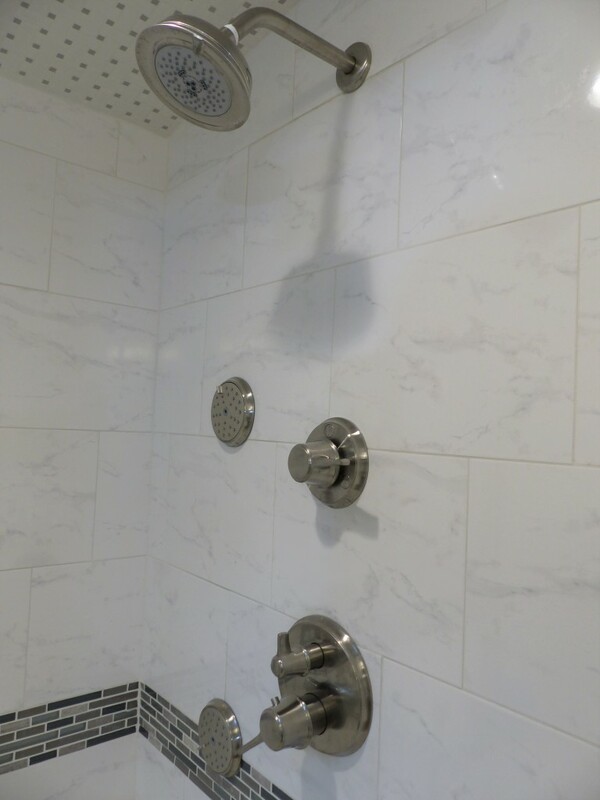 Steam heads can be easily worked in around main shower fixtures. After all, running water enhances the steam experience! Steam outlet heads and fixtures should be placed around 12 inches above the floor on a shower wall opposite the seating area, away from the shower door. In addition to these primary elements, there are many other special features to consider in the design and installation of a steam shower. The designers at R.J Tilley can assist with helping you choose among all the available options. 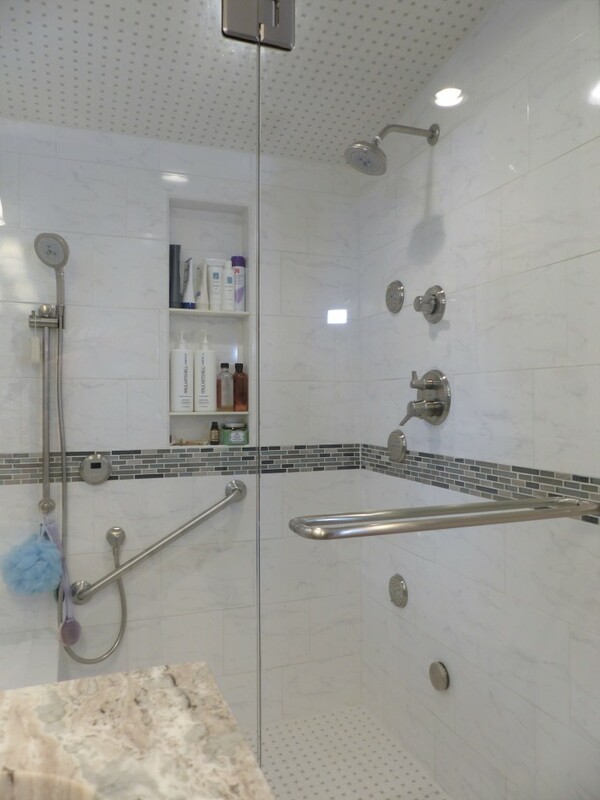 Make the most of your bathroom remodel and new steam shower by incorporating some of these exhilarating features! 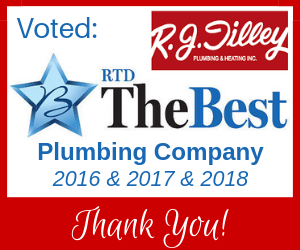 For more information and design tips on steam showers, or to start your bathroom remodeling project, contact R.J. Tilley today!